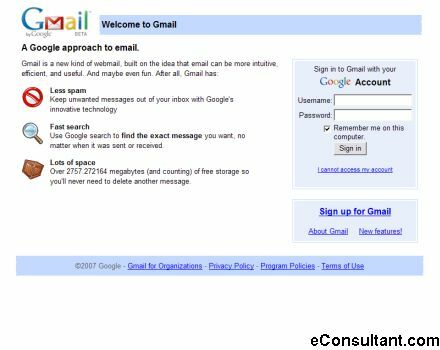 Description : Gmail is a free, search-based webmail service that combines the best features of traditional email with Google’s search technology. Gmail makes locating messages so easy that you’ll never need to shuffle mail in your inbox again. Besides offering an entirely new way of reading and tracking messages, Gmail includes 4.6 GB of storage space.